We are pleased to announce that Keystone Architecture, an architectural firm headed by Rob Galbraith based in Lafayette, Indiana, has merged with Cordogan Clark & Associates. Keystone Architecture has been in business for over 25 years and has designed academic buildings, stadiums, medical facilities, commercial and office space, banks, custom homes, and much more. As a regional design firm, Keystone takes pride in being closely involved with its projects. Keystone Architecture has produced many projects that demonstrate its careful attention to detail, quality, and performance. 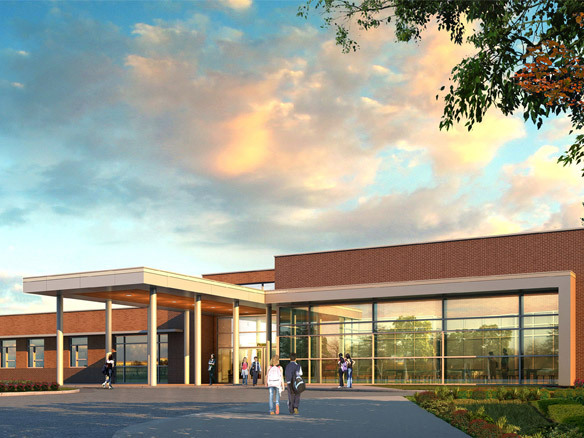 Recently, during our collaboration on a large and complex project for the Lafayette School Corporation, Keystone decided to merge their firm with Cordogan Clark. This is great news because Keystone and Cordogan Clark share the belief that architecture is an innovative service profession that finds practical yet artful solutions for client needs. Cordogan Clark is a larger firm with deep background, resources, and expertise in the design and construction of educational, public and institutional, commercial, residential, and mixed-use buildings. The combined expertise and resources of our firms means that now there is no project in the State of Indiana that we can’t do. The additional resources and experience are tangible benefits, yet the culture of personal touch from firm leaders will remain a “keystone” of doing business. For Cordogan Clark this merger of an Indiana based architectural practice into our firm deepens our geographic reach and provides us added talent and resources. This wider range allows us to handle projects that might have been out of our reach before.